That I’ve made that is. This cheesecake won out over all the other cheesecakes I’ve made by being the creamiest, easiest cake. The recipe and method are relatively simple and straightforward. Try my recipe for the best instant pot cheesecake and see if you’re a believer like me. It’s perfect alone or with something drizzled on top, try jam, Raspberry Sauce or Strawberry Puree. 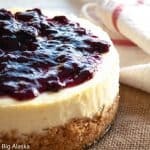 Can You Make Cheesecake in an Instant Pot? The answer is an enthusiastic YES YOU CAN! You can make them in a springform pan or small heatproof dishes right on the metal rack in your Instant Pot. (That little thing is called a trivet by the way) The big secret I discovered after ruining a couple with soggy crusts is to cover your cake. Everyone knows if you’re cooking in a springform to cover the bottom with foil. In the Instant Pot, you have to cover the top too! You can also make a little sling to go under the pan to help lift it out, but my trivet has handles on it, so I used those. If you cook it for the recommended time and it looks too jiggly, you can put it back in and set it to cook for two more minutes. The pot will come up to heat pretty quickly, so it doesn’t take too much longer. What does too jiggly look like you ask? If the outer 2 inches of the top of the cake is set but the inner part wiggles it’s done. If anything more than the inner 2 inches, three on a 7-inch cake jiggles it probably needs two more minutes. Most box stores sell them in the baking area. I found mine in the local Fred Meyer store, not on the baking aisle but over in the home goods baking area. Some places to look are Target, Walmart, Joann’s, and Amazon. 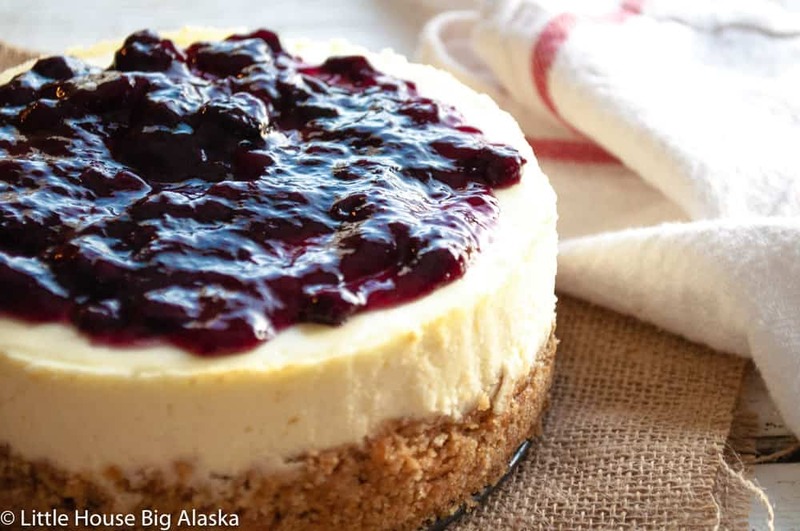 Did you know you can make a cheesecake in your instant pot? Well, YOU CAN and it's amazing! 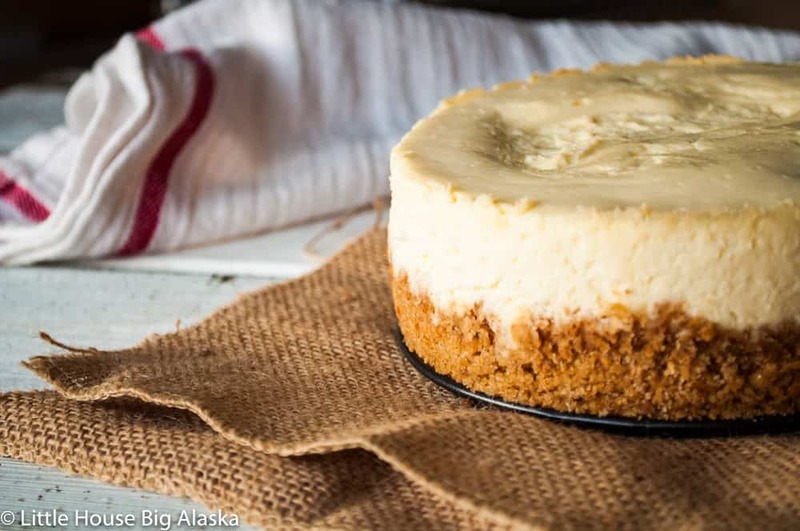 Try my recipe for the Best Instant Pot Cheesecake and you'll be a believer too! I have told the hubster repeatedly that I want an Instant Pot. I think this recipe will convince him! 🙂 Looks delicious! Have a great day! Hugs! 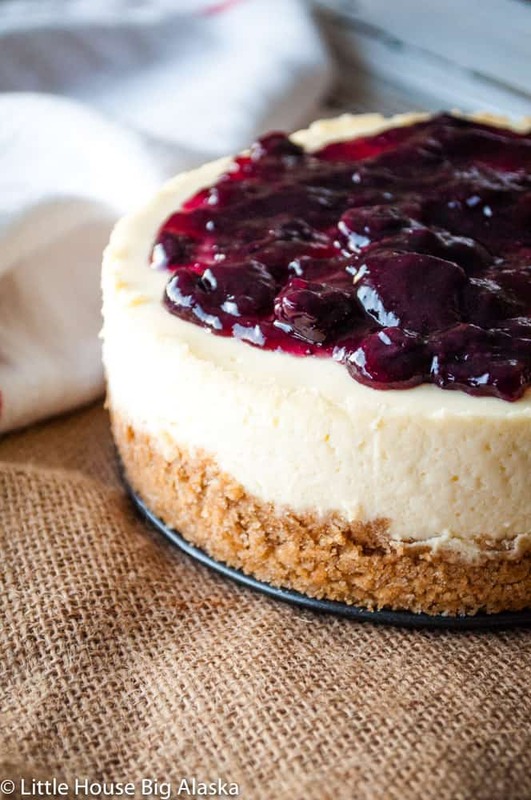 This Instant Pot Cheesecake will make him a believer!